I don’t know why I make plans. Things rarely work out the way I want them to. Everything seemed so straightforward on my survey day To Do list. I missed an important item from my list. “Add an extra twelve hours to the day”. I don’t know how I thought I was going to go through the boat with the surveyor and then find time to black Orient too. Not that painting a hull with bitumen was even a consideration after the phone call I received on Friday afternoon. Cynthia called. She was still on our damp and unheated boat back in Holland. I could barely recognise her voice. She sounded awful, but not as bad as she felt. She told me she had a fever, her mouth had swelled so much that speaking was difficult and that she was so weak that she didn’t have enough strength to climb the companionway steps to the boat’s rear deck. She had two weighty dogs needing a toilet break and no way of getting them outside. Cynthia was understandably upset. The marina was practically deserted. She had no one to turn to. Cynthia felt scared and isolated. I felt helpless. We discussed our options. We could phone for an ambulance, but they would take Cynthia to a hospital and pump her full of the western medicine she tried so hard to avoid. We scrubbed that idea. I could abandon my Sunday survey plans and drive back to Holland immediately. We scrubbed that one too. The drive would take ten hours plus whatever delay I would face crossing the channel. Neither Cynthia nor the dogs could wait that long. Cynthia needed someone she could turn to nearby. She has a small number of Dutch friends who she thought might be able to help. One of them, Mariella, the marina owner’s wife, responded to Cynthia’s texted cry for help immediately. Mariella said that she was working but that she could collect the various herbal medications Cynthia needed when she finished for the day. The following day was Saturday. She would be happy to walk our two bassets three our four times and check on Cynthia at the same time. That news alone helped Cynthia’s recovery tremendously. She was finding the isolation hard to bear. Most of her vast network of friends lived on the far side of the Atlantic ocean. The North Sea kept her away from her husband and a cultural divide from the Dutch people around her. Despite her many years of international travel, life on a foreign shore had never felt so challenging. Cynthia’s condition had improved enough by Saturday to allow me to return my focus to boat buying, surveying and blacking. I had neither the time nor the inclination to black the boat on Sunday. Even if I wanted to, the practicalities overwhelmed me. I had permission to black Orient from the marina management, but didn’t have a pressure washer to clean the hull with first. The marina’s workshop services were in transition, about to be outsourced to a subcontractor who wouldn’t open for business until the beginning of December. The company’s own pressure washer had been moved to another site. I managed to borrow one from every helpful broker Steven Harral. The machine was a Karcher, better suited for car bodywork grime removal than mud, weed and the rock hard secretions of aquatic creatures. As the pressure washer wasn’t up to the job and I didn’t have the time to clean the boat in preparation for blacking or to do the hull painting itself, I reluctantly removed blacking from my list. I didn’t have a surveyor either. I asked boat safety examiner and old friend from Calcutt Boats, Russ Fincham, to help me on the day. Even though Russ has worked with narrowboats for twenty years, I wasn’t really sure I needed him at first. 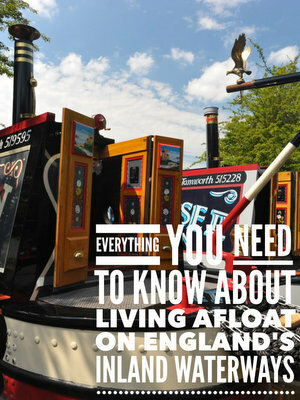 I’ve been around narrowboats since 2010. Over the last eight years, the experiences I’ve had living afloat at one of the country’s most prominent marinas has taught me a thing or two. I’ve learned a great deal from the fitters and engineers I’ve worked with and from my own mistakes and the experiences of the many hundreds of narrowboat owners I’ve had the pleasure to meet. I know a good boat when I see one, and I knew as soon as I saw Orient that I’d found a gem. That’s what I thought. I arrived at Tattenhall marina two days before survey day. I had plenty of time to mooch around the boat examining it from every angle, inside and out. I was confident that this lovely boat was in first class condition. Overconfident as it happens. Misguided even. Deluded and clueless, some would say. The rudder was my only real concern. When I viewed the boat for the first time three weeks earlier I had the chance to take her out for a spin. Even though the boat handled beautifully the steering was very heavy. I hoped that the skeg, the horizontal steel bar which supports the rudder cup, hadn’t come into contact with a lock cill and bent upwards, pinching the rudder bearing and causing the stiff handling. 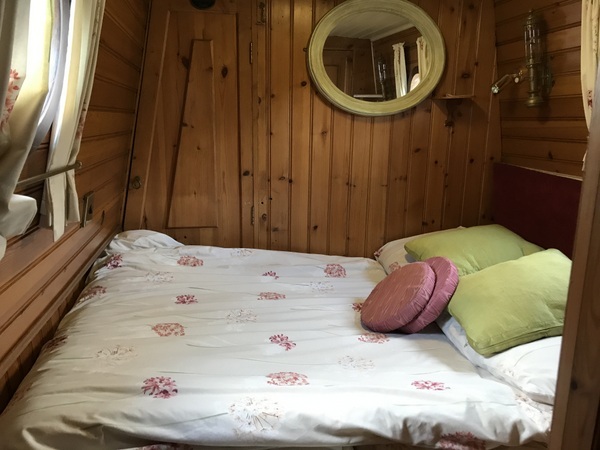 A comfortable cabin for Discovery Day guests in chilly weather. The range will be on full blast. After a coffee and a chat about our mutual oddball boating acquaintances, I left Russ to his own devices for an hour. I didn’t think he needed me there to confirm my opinion. I looked forward to him telling me that Cynthia had found a delightful problem free waterway home for us. The survey was, I assured myself, a formality, nothing more. “What do you think?” I asked Russ’s jean-clad arse as he bent double to unhook his trapped belt from the brass speed wheel. Why are so many tradesmen working in small narrowboat spaces such big men? “It’s a cracking boat, isn’t it?” I waited for his enthusiastic confirmation. Red-faced and puffing, he backed out of the boatman’s cabin. He looked at me and wrinkled his nose. “I’ve seen worse,” he conceded resting an arm on the tiller’s swan’s neck. I pointed at the steel deck beneath his feet. “What about the tiller then? Was I right? Is it going to be a problem?” Orient had to be back in the water the following day. There wasn’t enough time to do any work on it before then. I suspected that the boat would need to be lifted out again and the sturdy steel skeg somehow straightened to relieve some of the tiller tension. Russ sucked his teeth. Tradesman teeth sucking is always advanced warning of lengthy and costly repairs. “I’ve got to hand it to you,” he admitted, giving the tiller an experimental tweak, “You spotted a big problem there.” I knew it. We’d have to pay hundreds of pounds, maybe a thousand or more, to put the problem right. So much for my expert opinion. Still, I was happy on this occasion to be proven wrong. My only worry turned out to be nothing at all. I breathed a sigh of relief. “That’s great news. I take it everything inside was OK too?” I was pretty sure it was, but having Russ there to confirm it was handy. “Is that it?” Resealing the flue wasn’t going to break the bank. I could live with that. “Keep walking,” Russ insisted and lead me past the back cabin’s upholstered bench seats, brass lamps and decorative wall mounted plates. We ducked through the low doorway into the engine room. 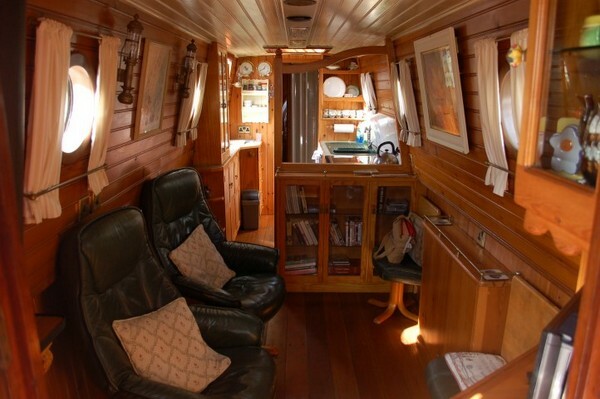 Most modern narrowboats are designed to make the most of the limited cabin space. 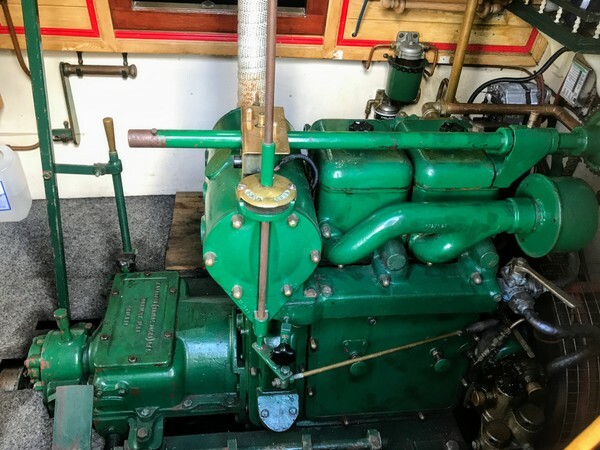 The engine is at the back of the boat either under boards beneath the helmsman’s feet on cruiser stern boats or inside an engine room in front of the steerer on a trad stern boat. 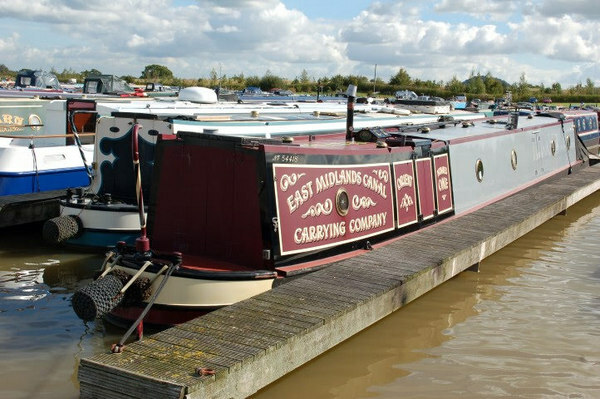 Orient’s design is along the lines of the old working narrowboats. The helmsman, and often his wife and children, would live in a small room, the boatman’s cabin, at the rear of the boat. 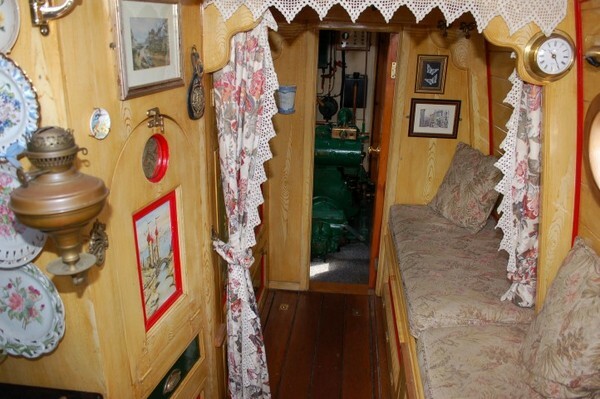 The engine was in its own room forward of the living accommodation. Orient’s engine room is dominated by a bright green 1936 Lister JP2M. There are two pairs of side doors which can be folded open to allow passing boaters and towpath users to see the engine buffed to shiny perfection. Russ hadn’t brought me to see the Lister. He agreed that it was a beautiful piece of machinery. “It’s simple to maintain,” he reassured me. “Even YOU should be able to do it!” He knows me so well. “The engine’s not a problem. The generator is a different kettle of fish.” He removed the generator housing’s green painted lid. “Nice generator,” I offered. “No, it’s not. It’s leaking like a sieve.” He wiped a grimy finger around a joint. It came away smeared with diesel. “And see there, and there, and there. Oh, and there too?” He pointed at other joints. “They’ve all been leaking at some stage. They’ve been plastered in epoxy. The whole thing needs a good service before you consider running it up.” More bad news, but the worst was yet to come. We walked from the engine room into the spacious bathroom. An elegant shower cubicle filled one corner. A cassette toilet squatted beside it. That was on our list of things to change if we got the boat. It was fine for now, but I had an unhappy relationship with cassettes for five years on my last narrowboat. I lost count of the number of times I arrived at an Elsan point with my two cartridges filled to bursting to find the sewage disposal point out of order. My time on an idyllic mooring was always limited by my waste carrying capacity. 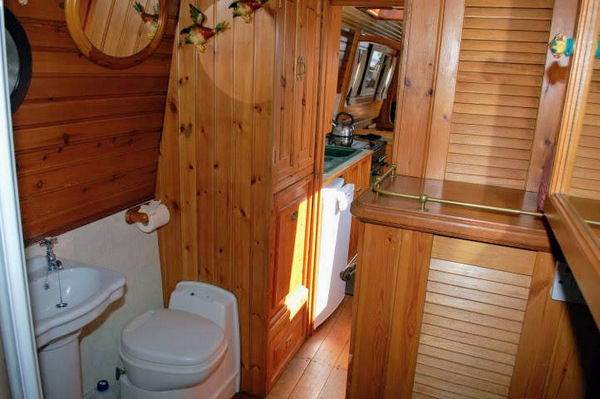 Boating life improved immeasurably as soon as I threw my cassette toilet in Calcutt Boats’ skip and installed a composting toilet in its place. I gave the cassette a sly kick as we walked through the bathroom into the galley and then into the saloon. “What do you think of the stove?” Russ asked. “I’ve always wanted a Squirrel,” I told him, imagining it filled with glowing coal and topped by a spinning Ecofan. I tried to guess why Russ was questioning me. I could see that the stove needed a coat of paint, but that wouldn’t take me long to sort out. He ran a stubby finger along the back edge of the stove’s top plate. “You’re happy with this crack here then?” He lowered his finger to another point beneath the front door’s sooty glass, “And look at this one here. It’s nearly wide enough to put my finger in.” Why hadn’t I noticed the faults? I know my sight’s not what it used to be, but I shouldn’t have missed clear indications that the stove was falling apart. The condemned Squirrel. I’m sure the boat will be very warm, once there’s heat on it. “Can I use it until we can afford to have a new stove fitted?” I asked hopefully. “Of course you can,” he assured me, “as long as you wear gas masks to prevent carbon monoxide poisoning.” I guessed he meant that we needed a new stove. It wasn’t what I wanted to hear. We couldn’t move onto the boat without reliable heating. Then I remembered that the Squirrel stove wasn’t the boat’s only heat source. “We should be able to keep warm though. The Kabola’s a good boiler, isn’t it?” I asked hopefully. We walked back to the bathroom where the sturdy central heating boiler sat at the bottom of a large pine cupboard. Russ opened the double doors, turned on an overhead light and pointed at the glistening steel sheet the boiler sat on. “The boiler’s been leaking. The light’s reflecting off spilt diesel. I wouldn’t turn it on until it’s been serviced if I were you.” That was terrible news. We had a boat with three heat sources. 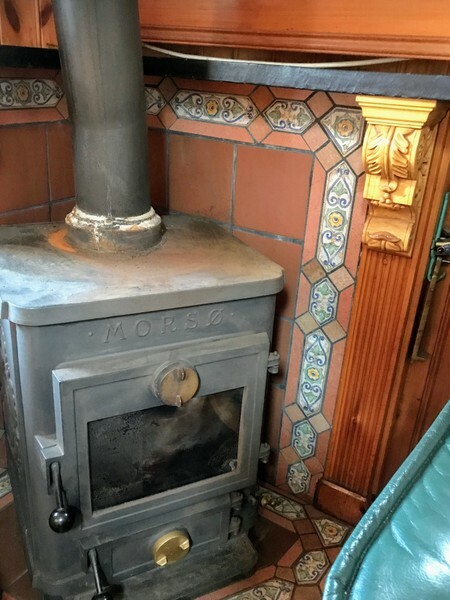 The stove had cracks in it, a range had a leaking flue, and the central heating boiler was leaking diesel. We had just endured a couple of miserable months on one unheated boat. We didn’t want to move onto another one. “Would that include the fitting?” I asked, imagining our bank balance’s cry of despair. Buying the boat had stretched our finances beyond breaking point as it was. The financing was creative, to say the least. I didn’t know how we could also afford these additional repair costs. Russ didn’t try to soften the blow. “Fitting the tank is likely to cost you at least as much as buying it. There are two ways to do it. Your first option is to slide it out from the deck into the cabin.” He gestured to the beautifully fitted pine cupboards on the front doors’ port side. “Most of that will have to be removed to get the tank out.” He pointed to the starboard side. “And the stove will have to be removed too. If you’re replacing the stove, you can do it at the same time as the tank.” I didn’t like the sound of that. I’ve seen fitted furniture removed from other boats. It’s never quite the same when it’s put back in again. I hoped the alternative would involve less damage. That hope was short lived. “The alternative is to go in from above. A section, or sections, of the deck will need to be cut away to allow the old tank to be lifted out and the new one to be dropped in. If you go in through the deck, you can use a special plastic bag insert. It will cost half as much as a steel tank but the boat’s existing pipework will have to be altered to fit the bag. Even though a stainless steel tank will cost more, it can be made to fit the existing connections so there will be less labour. Both jobs will be a similar price. Which way it’s done is up to you.” Neither way sounded particularly appealing to me. Not that we could afford to do that work or any of the other jobs on Russ’s growing list. He had one more to add. The boat specifications on the sales listing hadn’t included a bow thruster. Now that Orient was out of the water we could see that there was one fitted and even though the batteries appeared to be dead there were working controls at the helm. I didn’t have a bow thruster on my last boat. One would have been handy on occasion, but I managed pretty well without. A bow thruster was just something else to go wrong and another expensive set of batteries to maintain. And on Orient, the reason for an immediate boat safety examination failure. “I need to be able to get into the gas locker,” Russ insisted. I can feel concrete through the drain hole. Hudsons sometimes have water ingress issues in the bow locker because of the hull design. One possible but inadvisable solution is to pour concrete into the gas locker base to raise the floor and prevent whatever is in there from getting wet. Concrete in the gas locker means that the locker floor can’t be examined, so it’s an automatic fail.” That puzzled me. Orient’s BSS certificate expires in 2020. Unless the concrete was a recent addition, the boat should have failed its last inspection. “There’s something else too,” he pointed to the electrical wiring leading from the bow thruster batteries in the well deck locker towards the gas locker. “I need to find out where the bow thruster motor is. If it’s in the gas locker, we have a problem!” Not another one. I had problems coming out of my ears. “The gas locker drain holes are supposed to be no more than an inch above the locker base. They’ve been raised to about five inches here when the concrete was added. So, where’s the leaking gas going to flow instead of through those holes and into the canal?” He looked at me and shook his head when he saw my slack-jawed expression. “The leaking gas will find the lowest point which, in this case, is the bow thruster housing. It won’t stop there though. The gas will find the gaps around the wiring, flow into the bilge and then work its way back to the engine. You know what can happen then? No, of course you don’t. A stray spark and…” He threw his arms into the air and made a sound like a bomb going off. I got the picture. “What can we do to get around this?” I could see our narrowboat plans being buried beneath a growing pile of insurmountable problems. The quick boat walkthrough was turning into a nightmare. “If you can live without the bow thruster, the solution is relatively straightforward. You can seal both ends of the bow thruster tube and weld a plate over the recess in the locker so the gas can’t get into it. What do you think?” I was thinking that remaining in Holland on a freezing boat might be our only option if we couldn’t find a way of getting this work done without resorting to bank robbery. Russ estimated that the total bill for repairs and alterations would be between five and eight thousand pounds. I knew we couldn’t stretch that far. Our bedroom – Perfect for a good night’s sleep… providing you’re not too tall.